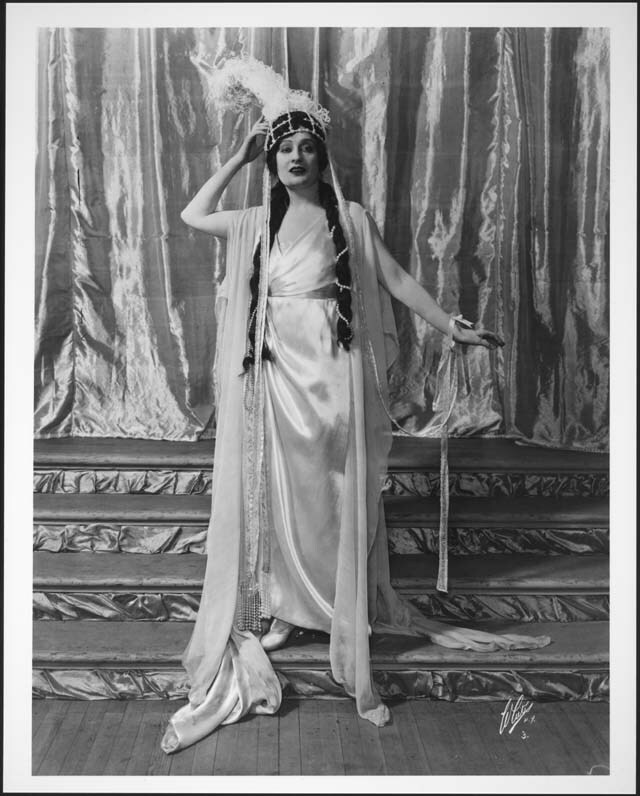 Arthur Fields (August 6, 1888 – March 29, 1953) was a United States singer (baritone) and songwriter. He was born Abe Finkelstein in Pennsylvania in Philadelphia, but grew up mainly in Utica, New York. He became a professional singer as a youngster. Around 1908 he toured with Guy Brother’s Minstrel Show, and helped form a vaudeville act “Weston, Fields and Carroll”. 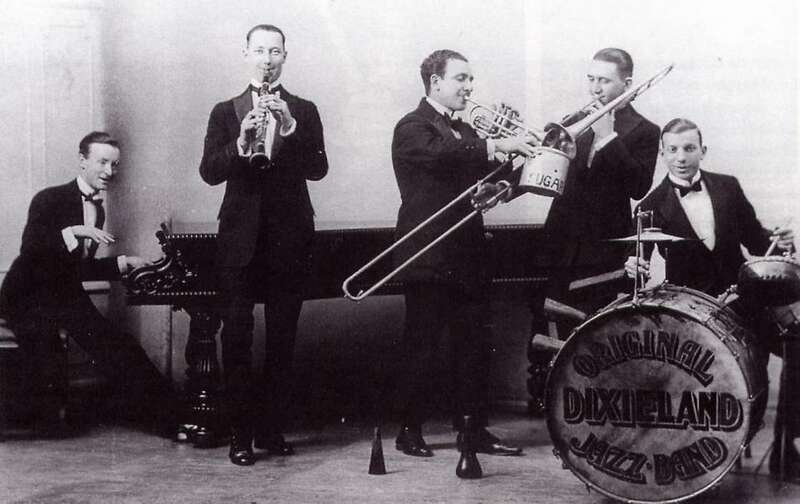 At the Jazz Band Ball (Edwin B. Edwards, Nick La Rocca, Tony Spargo & Larry Shields) The songwriters were members of the Original Dixieland Jazz Band. 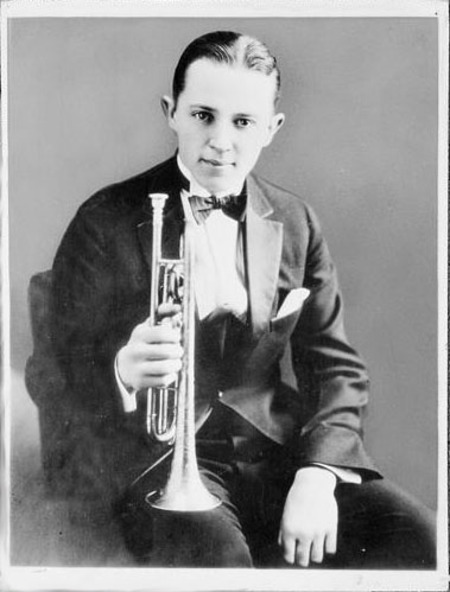 It has to have been one of their early songs because Edwards (trombone) was replaced in 1918 after he was drafted into the army. 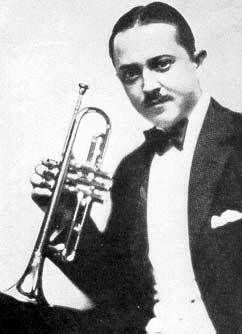 La Rocca was the leader of the band, playing cornet and trumpet. He billed himself as “The Creator of Jazz”. Spargo was the band’s drummer for over 50 years. 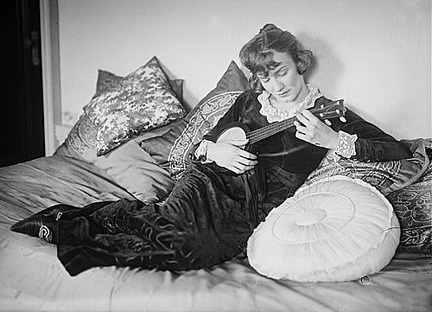 Shields was the band’s clarinetist from late 1916 to 1921. 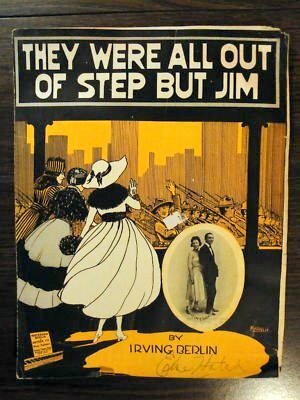 I assume this is the 1918 recording by Jolson which introduced the song. Kind of tinny, but included because of its historic importance. 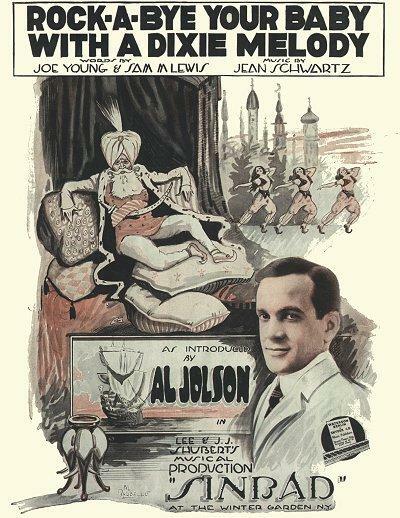 Al Jolson accompanied by Oscar Levant on piano, a live performance. This is probably from NBC radio’s Kraft Music Hall, hosted by Jolson. Levant was reportedly a frequent guest on the shows. The slide show features pictures of Judy and her family including the two elder Gumm sisters, her Mother, her children Liza Minnelli and Lorna and Joey Luft, and her hubands David Rose, Vincente Minnelli, Sid Luft, Mark Herron and Mickey Deans. 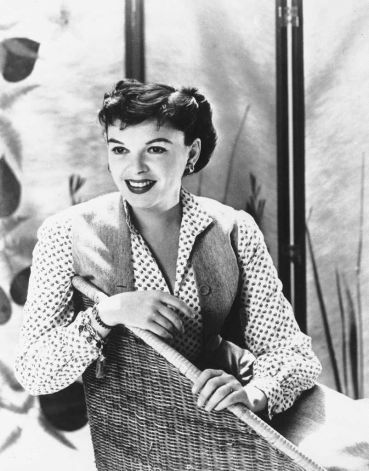 The Judy Garland Special on Ford Star Jubilee; airdate: 24 September 1955 — According to the Judy Garland Database the show was broadcast on CBS as the premiere episode of the Ford Star Jubilee TV Series. I may put together a feature on this show as there seem to be at least a few other clips available. 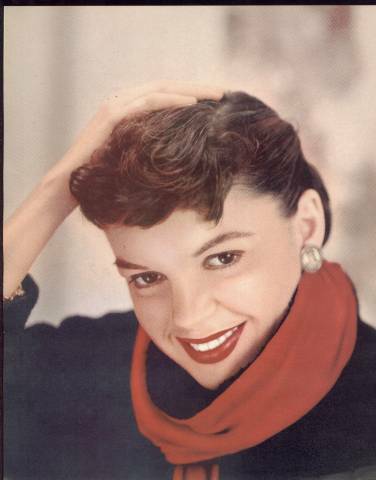 Later Garland performances of the song include her Cocoanut Grove appearance on 6 August 1958, the Carnegie Hall show of July 1961, as well as taped performances for Episodes #12 and #20 of the Judy Garland Show in 1963-64. A concert at Minnesota’s State Centennial celebration, 11 May 1958, according to youtube provider BuzzStephens1. 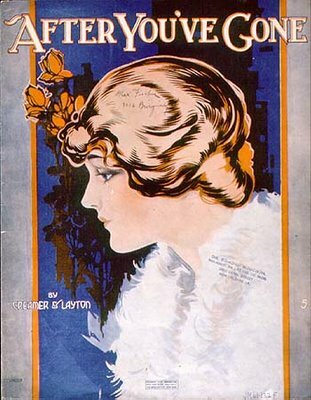 A recording by Henry Burr and Albert Campbell was the number one hit of the year. Haven’t found this one yet. 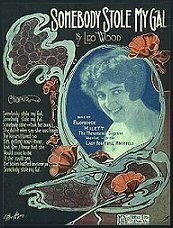 Somebody Stole My Gal (Leo Wood) – The dozens of covers, many of them recent, available at Youtube and other video libraries attest to the lasting appeal of the song. It’s evidently a favorite of many dixieland bands and ukulele players. According to Wikipedia, Somebody Stole My Gal has been used in the soundtracks of at least seven Hollywood films. Bix Beiderbecke and His Gang – Bix Beiderbecke, c / Bill Rank, tb / Izzy Friedman, cl / Min Leibrook, bsx / Roy Bargy or Tom Satterfield, p / Harold MacDonald, d. New York, 17 April 1928.